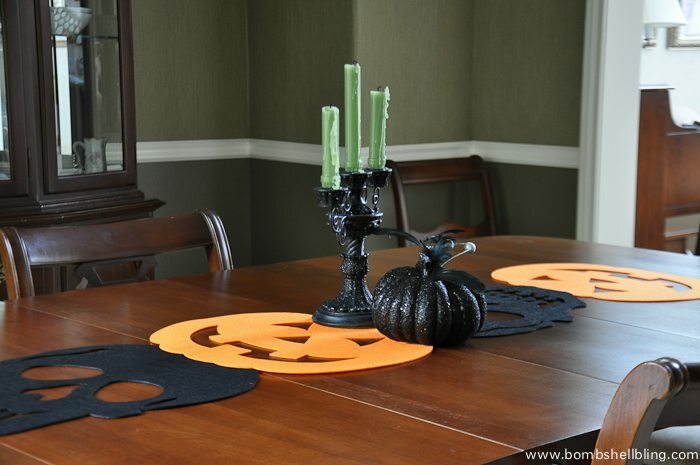 Last year two of my most successful posts were simple yet bold table runners that I made in less than 5 minutes for less than $5. True story! How did I accomplish such a feat, you might ask? With felt shapes from the dollar store and a little hot glue. Yep. It was that easy! 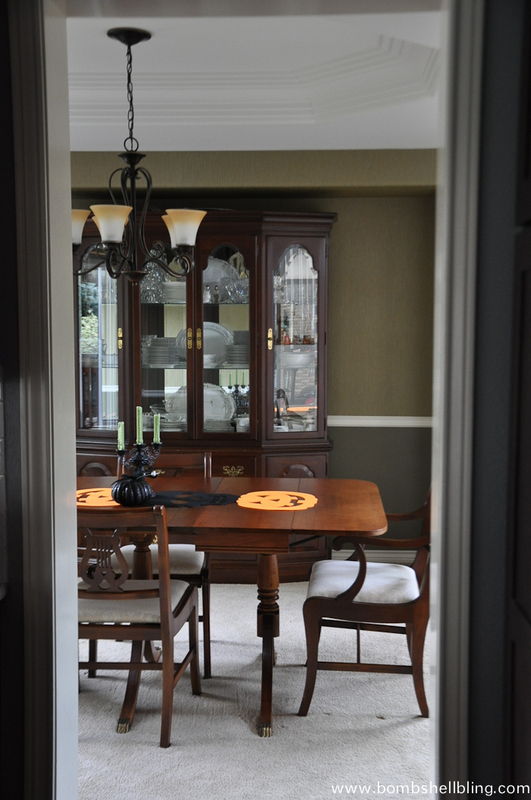 It all began with a Fall Table Runner made with large felt leaves. I loved it so much (and the people of Pinterest loved it so much!) that I ended up making a Christmas Table Runner as well! 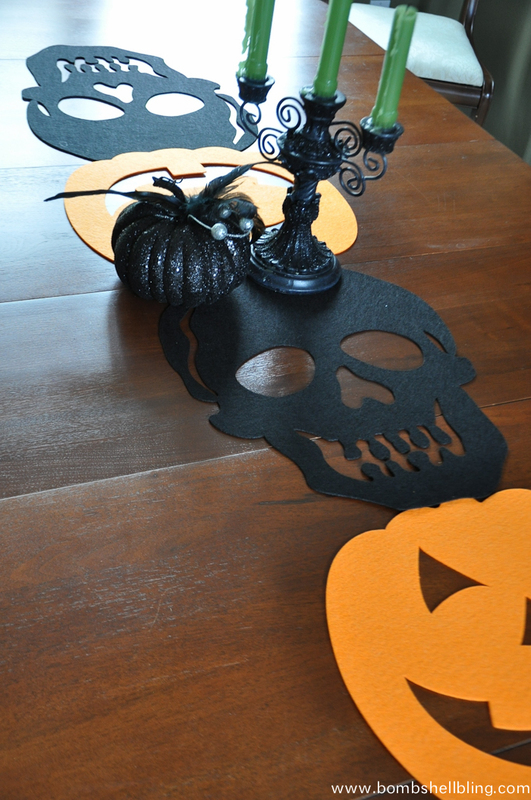 I adore the ease of the process, and I adore how the big, bold shapes look on my dad’s formal antique dining room table, which is why last week I made myself a Halloween table runner. Wanna make one too? Let’s do this! Prepare for the simplest craft of your life. No matter how “uncrafty” you are . . . well, you CAN do this. I promise you that! 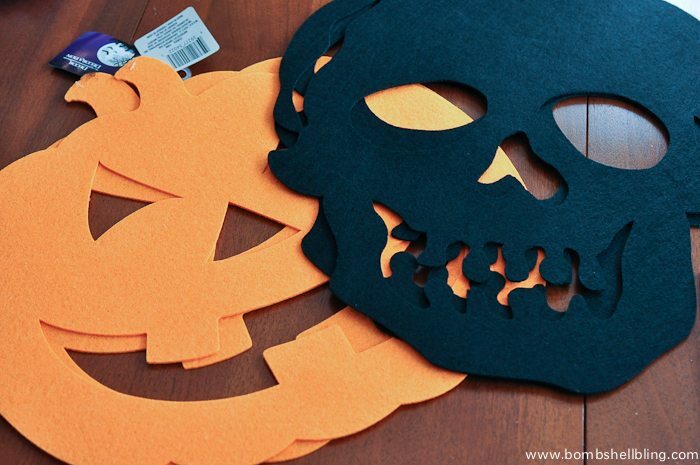 The only supplies that you will need for this project are felt shapes and a hot glue gun. 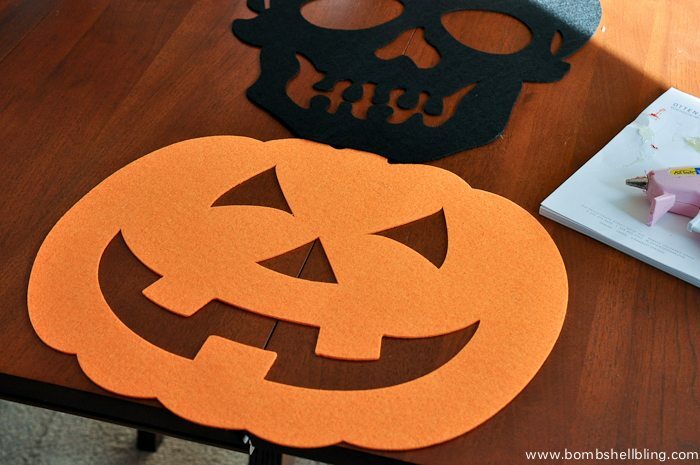 I used four felt shapes that I found at The Dollar Tree. 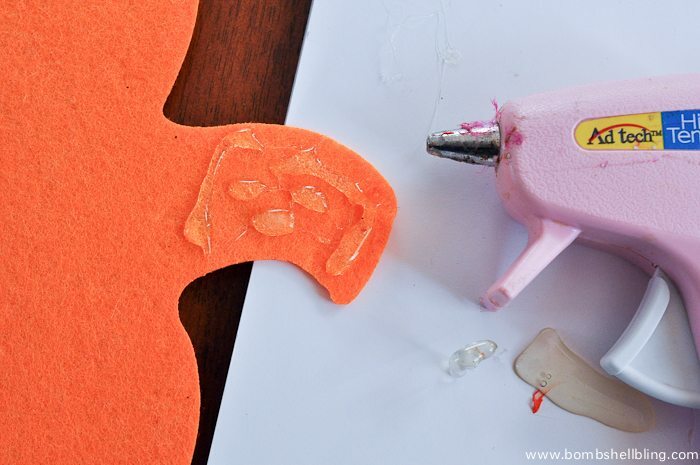 Squeeze a bit of hot glue onto each shape and glue it to the next shape! (Be careful not to burn yourself!) Repeat until you are done! To make sure my shapes were straight I lined the noses of the shapes up with a seam in the table. TA – DA! You’re done. Seriously. Now go accessorize! 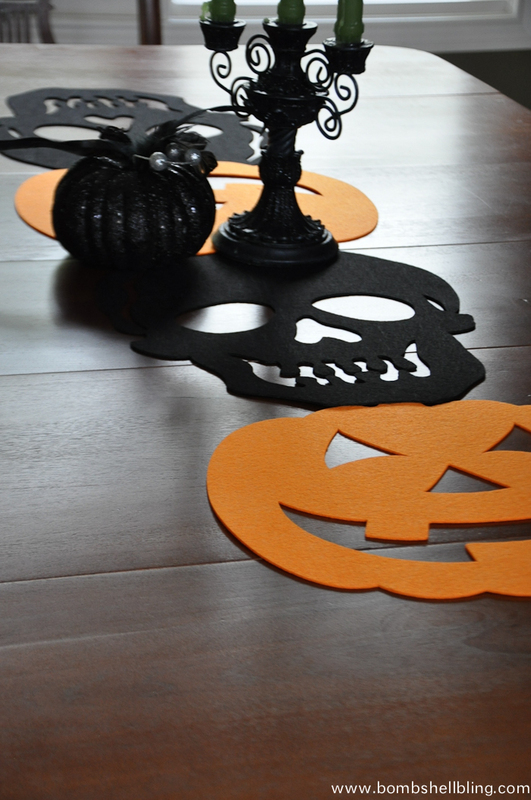 Don’t forget to also follow along on my Pinterest Halloween board for Halloween inspiration from all over the web!